For further info, feel free to visit Extreme Consoles' website and Twitter. As an owner of a PS4 and only one controller for it, this now comes top of my 'to buy' list. Really nice. A lot of the controller mods are just stickers, which just feels cheap. This one, though. So great! Just as cool as that 2600 mod I saw. It's cool ain't it! I also need a second pad - one of these would be epic. I'd be afraid to use it though, in case the design wore off! 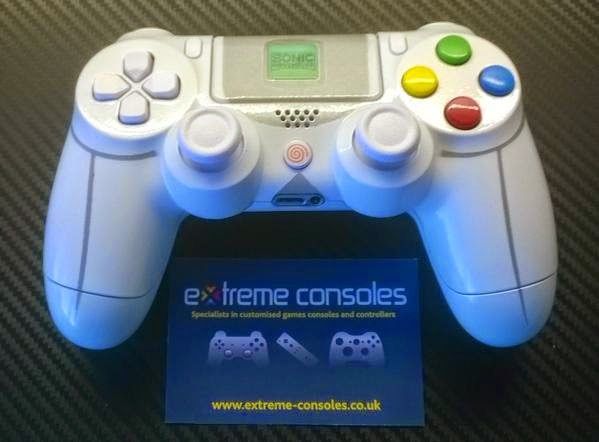 Due to popularity on this controller we are going to produce a few more designs, any one interested in purchasing should contact us either via Facebook or directly through our website. I know some may think im a bit crazy. I just cannot touch a Sony branded product after the demise of the Dreamcast. I also avoid any EA related games. I found something case modders will enjoy! Where can I buy this controller? The clue is in the article. Contact Extreme Consoles.